DAVUS PUBLISHING has something for everyone. From the award winning novel "Sarah's Journey" to affectionately researched non-fiction books, you'll find yourself immersed in places and times, filled with characters that spring to life in books that are in the 'Hard-to-put-down' category. Whether you're into romance,suspense, political intrigue, historical events or carefully researched study reference, you'll find it here. My name is David Beasley. 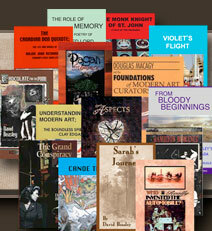 I have a passion for writing that has resulted in the publication of more than 30 books. It is my goal to present the reader with both entertaining and thought provoking subjects which hopefully brings enjoyment to their daily lives. Browse through the site and perhaps you too, like many others, will find something that sparks your interest. For an interview with David, see http://www.bragmedallion.com. For the MAJOR JOHN RICHARDSON NEWSLETTER click on David's Blog. BOOKS OUT OF PRINT THE FOLLOWING TITLES CAN BE ORDERED AS EBOOKS ONLY: VIOLET'S FLIGHT, CHOCOLATE FOR THE POOR, HAMILTON ROMANCE, THROUGH PAPHLAGONIA WITH A DONKEY, WESTBROOK THE OUTLAW,.. NOTE; FOR THE 150TH CANADIAN BIRTHDAY SARAH'S JOURNEY and FROM BLOODY BEGINNINGS HAVE BEEN REPRINTED . Donly Museum in Simcoe and Tan Mar in Port Dover carry them. FOR THOSE WHO LIKE THE PRINTED BOOK TO READ, I SUGGEST YOU FIND SECONDHAND COPIES BY INTERNET ON AMAZON, ABE BOOKS, AND ALIBRIS. Time to pick up and read a good book! Chase away the winter blues and relax with a good book. There's something for everyone in the Davus Publishing selection of fiction and non-fiction books. Some of David's books are now available in ePub and PDF formats. Visit the eBooks page for more info and downloads. "David Beasley: In his own words"
Presented in several parts, this presentation can now be seen on YouTube. Click the parts below to view. 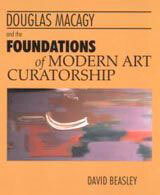 Click the links below for some additional info on..
and Douglas MacAgy (Including the unpublished essay "Duchamp as a critic"). In the entry for McKee Rankin and the Heyday of the American Theater under non-fiction, the reader will find a list of all the theatres and roles associated with McKee Rankin in PDF form and an Index to the Endnotes in the book. A comic addition to the classic Sherlock Holmes detective tales. Dr. Watson, long-time companion of Sherlock Holmes, leaves the renowned super sleuth to strike out on his own. Seeking a quiet life in the Old West, he finds himself engulfed in a series of comic disasters. that accepts major credit cards. listed on our 'Where to buy' page.